Lately, I’ve noticed it’s easier to track someone down by texting them rather than calling them. Even though they may have their cell phone with them, they may not be in a place where they can actually take a phone call (bathroom anyone?). Aww, come on! You know you’ve taken your phone with you to the bathroom at least once this week. The second die in the Party Pop-Up Thinlet set reminds me of a text message! It totally looks like a text bubble. 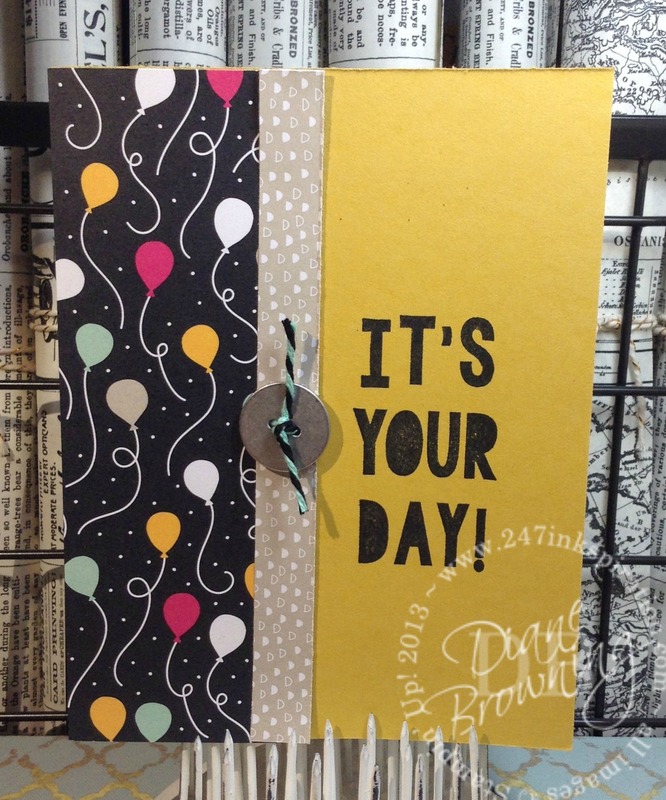 This card is put together just like the card from Monday (you can see the directions here). Again you have an outside card and an inside card. 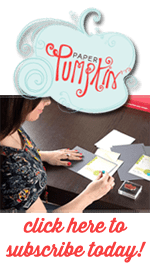 Remember to do all your stamping, decorating, and die cutting before you fasten the inside to the outside. This is the inside of the card. What did I tell you – it’s a text message! You can see the bit of It’s My Party Designer Series Paper peeking out from behind the pop-up. This is the outside of the card. I wanted to keep it simple and easily to replicate. The phrase is from the Party With Cake stamp set and more of the pattern paper. I really liked the idea of using the shape of this diecut image to make text messages. I stamped each phrase and then using the die, drew the outline around the phrase, then hand cut it out. I love all these cute little sayings from the Party With Cake stamp set and they all go together so well. Since I used so many of the phrases, the card is really tall. It’s a full 8.5×11″ sheet of card stock, folded in half. This card did take a bit more time because I hand cut all the text bubbles around the stamping. You probably wouldn’t make a bunch of these, but I’m sure you have just the right teen in your life that would appreciate this. They probably won’t tell you they appreciate it because they are teenagers after all, but they’ll be thinking “she gets me” on the inside (did I hear your eyes rolling?). This stamp set even has a cake emoji! How cool is that! So the third family birthday in February is my mom’s, which is only 2 days after mine. And still to this day she reminds me she spent that birthday in the hospital having me. I am the gift that keeps on giving! She’d probably be really upset if I said how old she is. So I won’t! Love you Mom!